Many government agencies, water industries and NGOs are concerned with improving the management of our land and water resources. Many challenges result as there are many competing demands by agriculture, water industries, tourism and nature conservation on these resources. With the many pressures and threats accumulating on land and water resources, planning future management is complex and difficult. To help make these complex decisions, the diverse and often fragmented data and specialist models spread around the research community need to be brought together, tested and linked so problems and possible solutions can be explored and tested in a more integrated way. This cannot happen without the community also coming together encouraged to share common problems and solutions, including their data and modelling tools. One of CaMMP’s prime missions is to provide a mechanism for that communication and sharing. The list below contains links to other organizations across all sectors also involved in Catchment Management for Water Quality and the provision of other benefits and services. The Catchment Based Approach (CaBA) is a community-led approach that engages people and groups from across society to help improve our precious water environments. The CaBA embeds collaborative working at a river catchment scale to deliver cross cutting improvements to water environments. 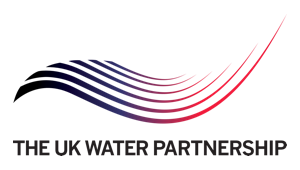 The UK Water Partnership, launched in February 2015, brings people and organisations together to address the key challenges facing the water sector, and catalyse action to benefit the UK economy and improve UK and global water security. The Environmental Information Platform (EIP) provides enhanced access to CEH's key data holdings via web-based tools. It enables users to visualise and interrogate the diverse environmental datasets held by CEH. The platform enables researchers, policy makers and the public not only to discover CEH data easily but also to access, analyse, interrogate and visualise the data through a single platform. Agrimetrics is a Big Data Centre of Excellence for the Agri-food industry. A partnership between Rothamsted Research, The University of Reading, National Institute of Agricultural Botany and SRUC, Scotland’s Rural College, Agrimetrics brings together expertise and capabilities in data science, smart analytics, bioinformatics, translational research and knowledge exchange in crops, livestock and food, and sustainability. WaterInnEU, a H2020 research project, aims to create a marketplace (supported by a portal) to promote the dissemination and enhance the exploitation of EU funded activities, including information and communication models, tools, protocols and policy briefs related to water. The Catchment Change Management (CCM) Hub is a place where people who are interested in the wellbeing of their local river/s and wider water environment can share understanding and make links across river catchments. 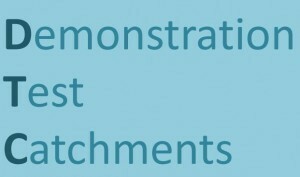 It complements the Rivers Trust Catchment Based Approach site by concentrating on facilitating the transfer of research findings into practice. 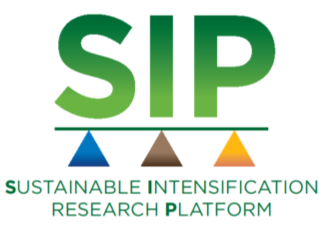 The Sustainable Intensification Research Platform (SIP) is a multi-partner research programme comprising farmers, industry experts, academia, environmental organisations, policymakers and other stakeholders. Funded by Defra and the Welsh Government, the platform is exploring the opportunities and risks of Sustainable Intensification (SI) from a range of perspectives and landscape scales across England and Wales. The Ecosystem Knowledge Network is a UK network for people who want to put the environment at the heart of decision-making. The network promotes the holistic and inclusive management of the environment as at asset by involving local people in decision-making, considering the environment as a system, and valuing the services nature gives us. Water UK. We bring people together to create better policies for the future if water. 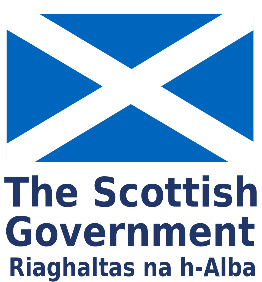 Scottish Government, Rural Payments and Services, Catchment Management for Water Quality. The aim of the Environmental Co-operative Action Fund is to help deliver landscape scale action by helping to fund the facilitation and management costs of such projects.